The use of either mounting system enables the hunter independence, no longer relying on someone else to ‘hold’ the spotlight. Quick target acquisition is assured! No more frustration of the light source being moved off the target, as you are about to take the shot! Other systems offer very poor light output and cannot handle the recoil of large caliber rifles or shotguns. The Lightforce feature packed system is the choice of experienced shooters worldwide. 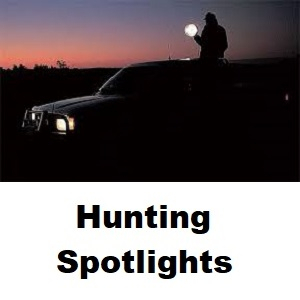 The Lightforce firearm mounted lights mount onto rifles or alternatively, shotguns. Supplied complete with an inline switch, Velcro fastener and coil cord with cigarette plug, the lights can be interchanged to allow to be mounted to both rifle scope and the barrel of a firearm, be it a 12G shotgun down to a small rifle diameter. The unique recoil absorption system compensates for the heavy recoil associated with shotguns and large caliber rifles, returning the light to the original position of alignment after each shot. A quick attach and detach system provides easy removal and replacement of the light onto different rifle scopes and barrels within seconds. The unique snap catch system locks the light onto the mount simply by depressing the lever on the snap catch carrier. By lifting the lever the light can be instantly removed.